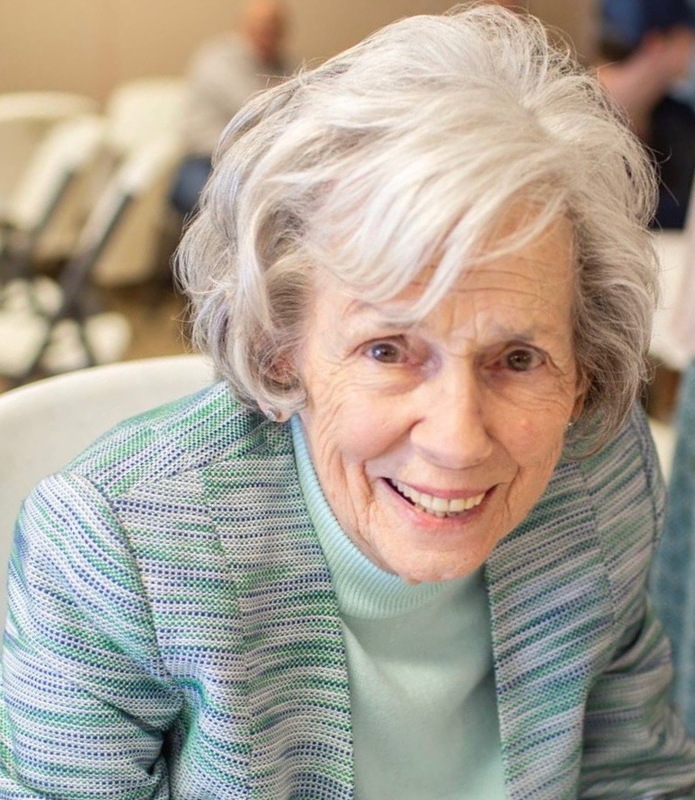 Annie Marie Oldham of Killen, passed away November 2, 2018. Visitation will be Sunday, November 4, 2018, from 1:00- 3:00 p.m. at Center Star Church. The funeral will follow at 3:00 p.m. with Brother W. L. Wallace and Brother Stan Pruitt officiating. Burial will be in the adjoining cemetery. Mrs. Oldham was a charter member of Center Star Church and was the owner of Marie’s Beauty Shop for over 56 years. She was preceded in death by her husband, Dewey Lindon Oldham, Sr.; parents, Archie and Mavis Snoddy; son-in-law, Frank Buttram; and siblings,Lela Dison, Reeder Snoddy, Lucille Holden, Maples Snoddy, Billy Snoddy, Bet Narmore and Johnny Snoddy. Survivors include her children, Lindon Oldham (Karen), Judy Buttram, and Donna Hamilton (Barry); sisters-in-law, Merle Snoddy and Nancy Snoddy; grandchildren, Roxanne Oldham (Mark Bowen), Marisa Frederick (Jeff), Joseph Brook Buttram (Miranda), Frankie Buttram, Heath Hamilton, Danon Hamilton (Crystal), and Barron Hamilton (Sommer); great-grandchildren, Hank & Betsi Bowen, Dillon Frederick,Payton Frederick, Mia Frederick,Ethan Buttram, Evan Buttram, Charlie Buttram, Khelie Buttram, Morgan Hamilton, Brady Page, Cameron Hamilton, Ava Hamilton, Bella Hamilton, Dru Hamilton, Saydee Hamilton, Aspen Hamilton and Ransom Hamilton. Center Star Church and burial in the adjoining cemetery. Donna and family, we are so sorry to hear about Marie.. She was a very special lady. always had a smile on her face..
Will be in our prayers . We want you to know it truly has been an honor knowing her. We so enjoyed being with her at Holiday dinners at Donna’s. She was such a lady of grace an such an example to us All. We bless your family with our prayers and Peace. We love you and God Bless. We are so sorry to hear about your Mom. This is a time when only the Holy Spirit can comfort this left behind family….. and loving friends sure can help ease the absence. That is such a pretty picture of Marie. She was pretty inside and out. I have so many memories of the times spent there with Donna. I respected her the same as I did my Mother. She will be missed here but what a homecoming it will be when we all get to Heaven. God bless all of you with peace that she is at home now and she will be waiting for you. Spooner, Karen, Judy, Donna and Barry, our deepest condolences. So sorry for your loss. Keeping you in our thoughts and prayers.